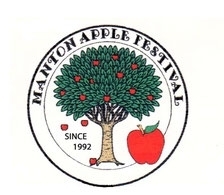 The Manton Apple Festival will be held on Saturday, October 6, 2018, from 9 am - 4 pm at the Manton School located at 31345 Forward Road, Manton, CA, 96059. Free admission. Free parking. From its humble beginnings as a small "apple harvest" fair in 1992, the Manton Apple Festival has grown into one of Northern California's premier craft and art events. They pride themselves in providing a venue for high quality, artisan created art, crafts, and food products. Of course, don't forget the apples! Apple themed products, locally grown apples, and apple pies (whole and by the slice) will be available. Enjoy live entertainment, apple pie contests and various family entertainment events throughout the day. For more information, please call (530) 474-1224. or visit their website at MantonApple.com. NOTE: The Festival is held on school grounds. Smoking, alcohol, and pets are prohibited. Vendors: Please visit www.MantonApple.com for details.